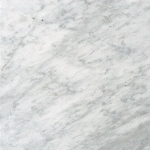 Snow White 16x16 Filled, Honed Travertine is a clean, white slab of tile that is matte in finish. It has some very faint veins in powder blue to slate gray but the design is very minimal and it is still predominantly white. 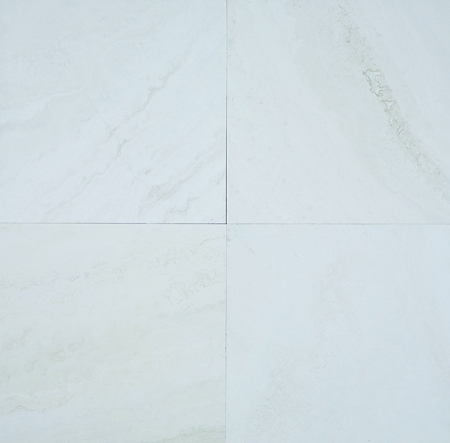 Snow White 16x16 Filled, Honed Travertine is extremely durable and versatile since white essentially goes with anything at any style. The smooth finish makes wiping a breeze. Snow White 16x16 Filled, Honed Travertine is best used for floors indoors like great rooms, kitchen and dining areas, hallways and even offices for commercial uses. The white can instantly open up a cramped space.